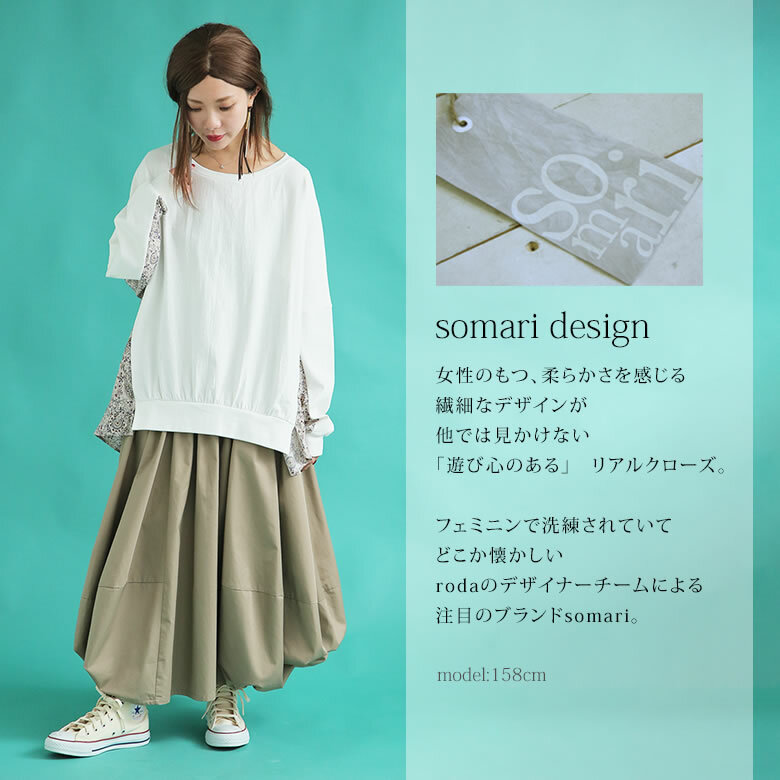 "I attract fashion feeling of the person wearing it." 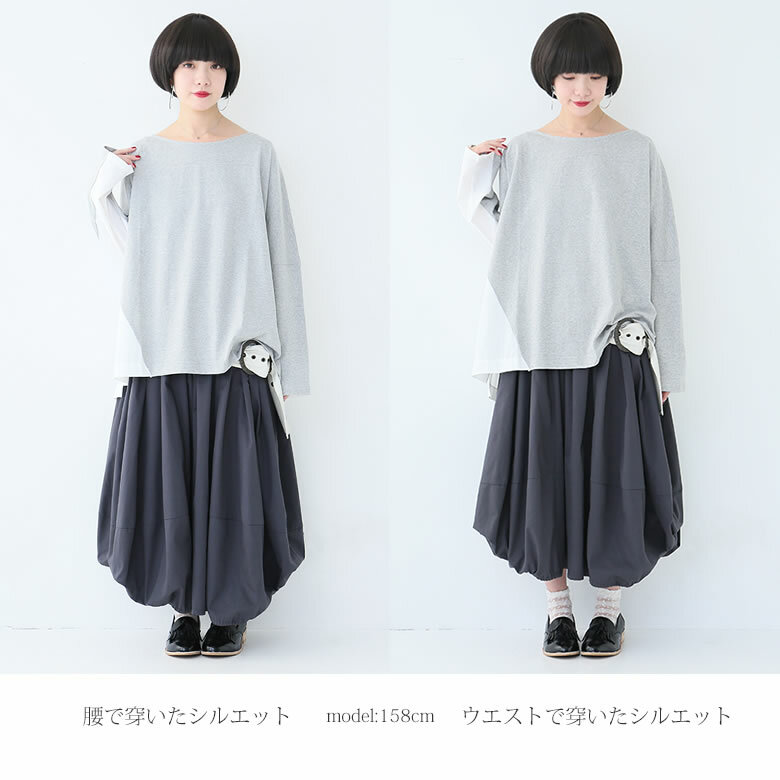 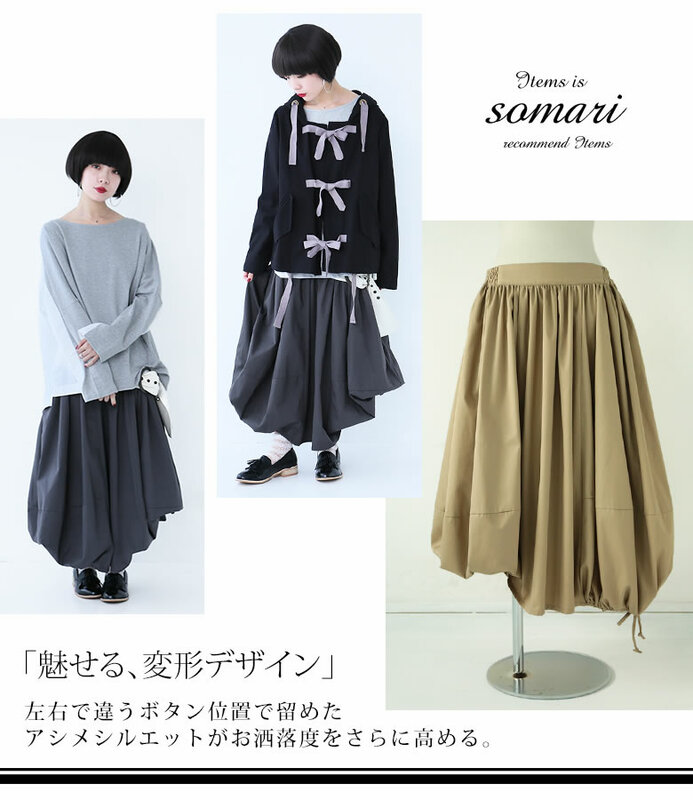 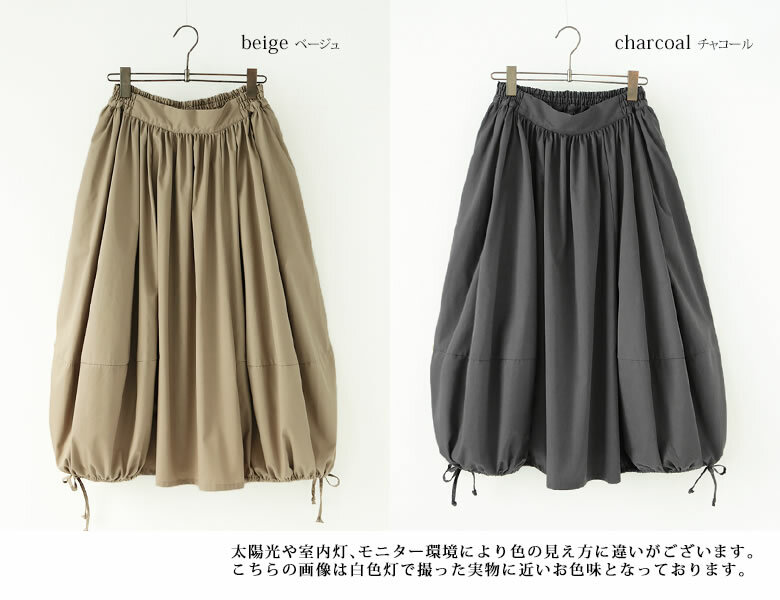 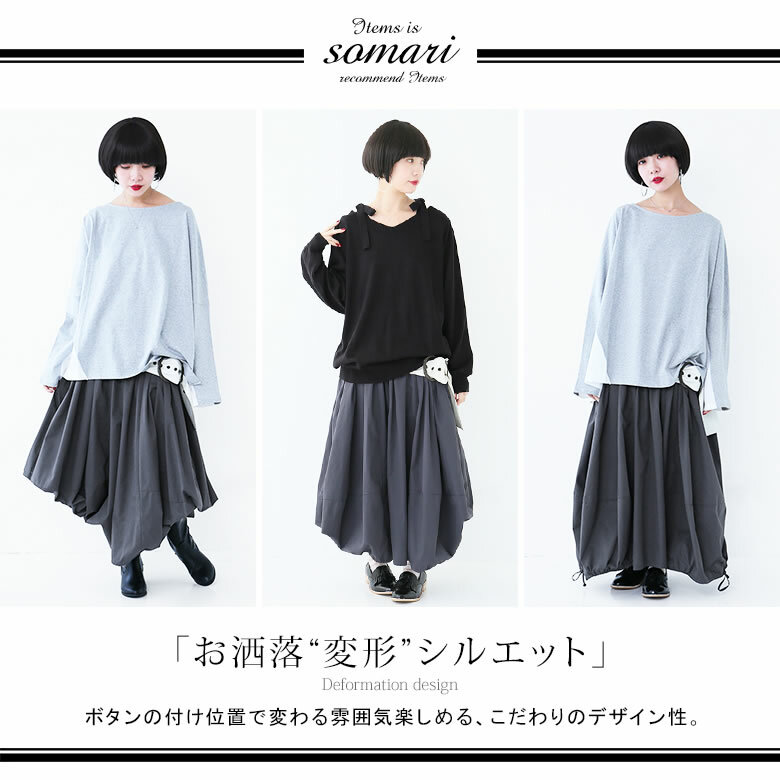 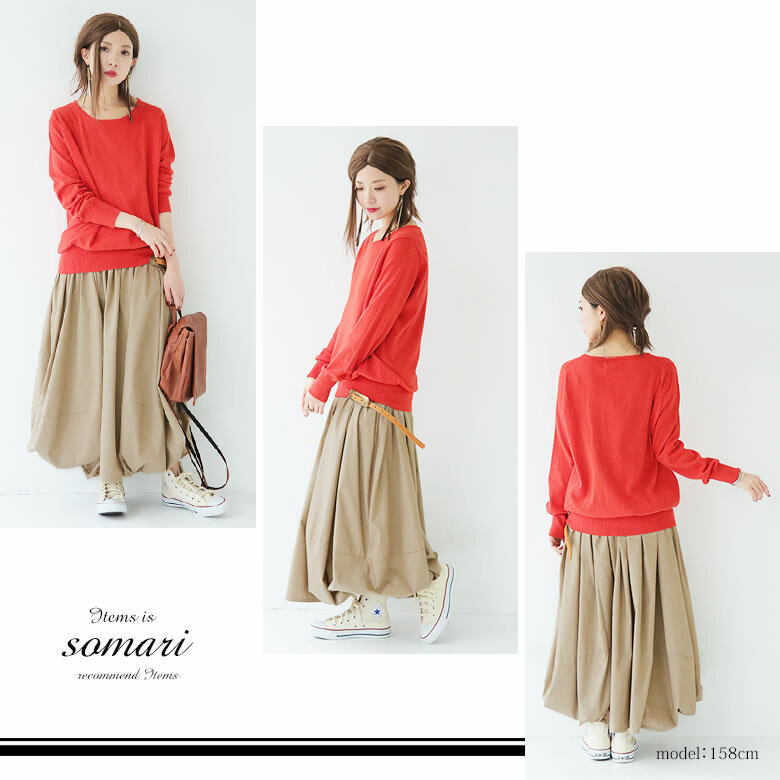 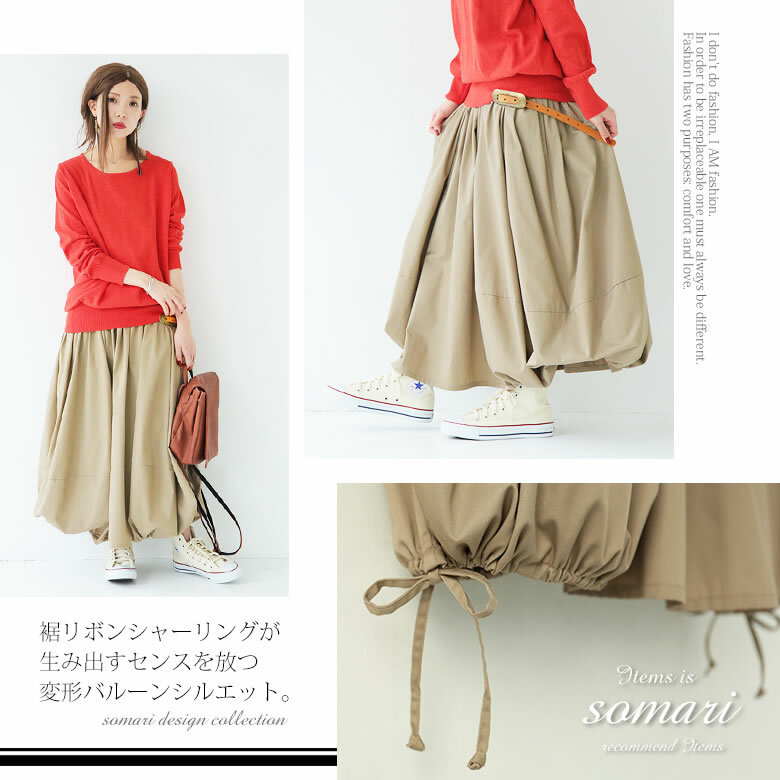 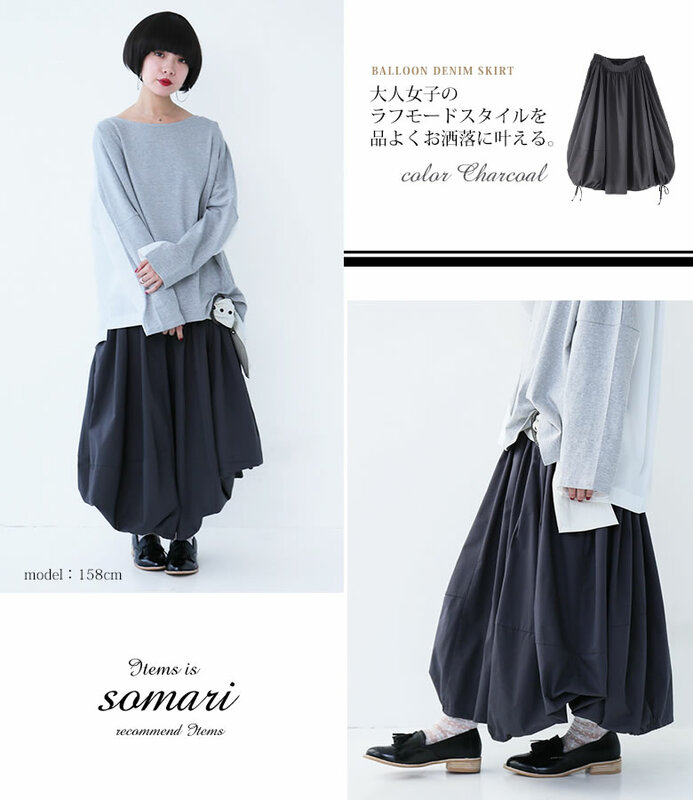 The long skirt which can enjoy expression "of" three with one piece. 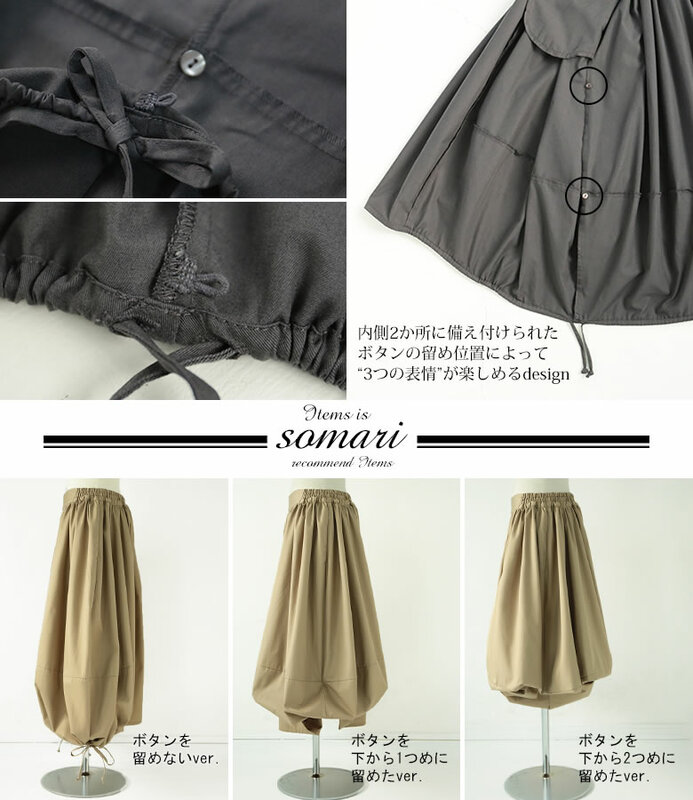 Shirring of the hem ribbon produces three-dimensional heteromorphic balloon silhouettes. 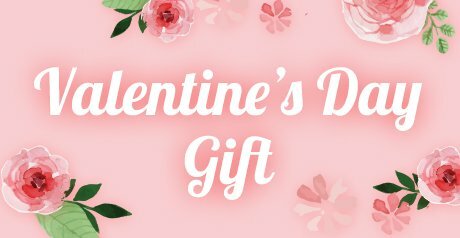 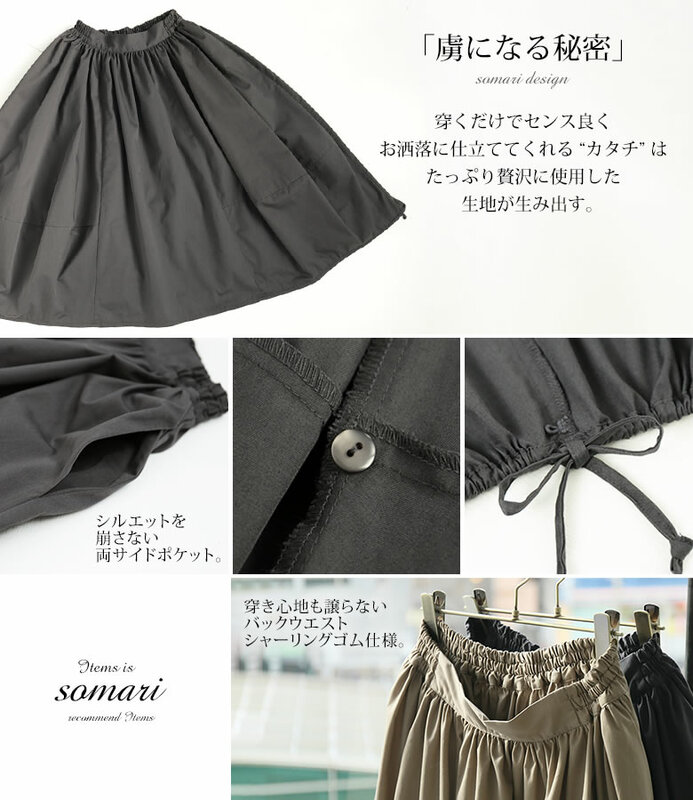 Furthermore, is easily various at the flagging down position of the inside button; because can arrange it, can enjoy favorite fashion for the feeling on the day. 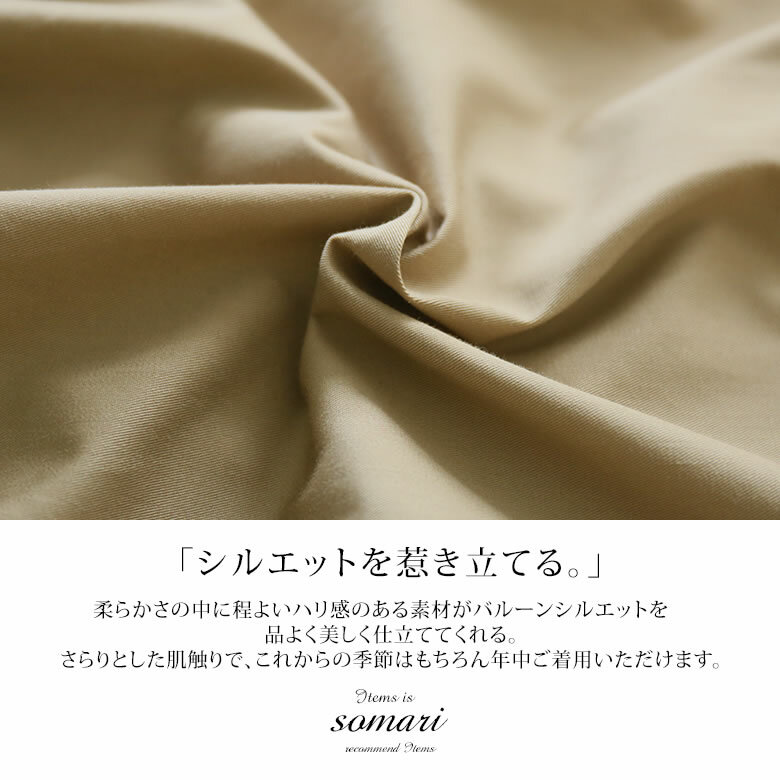 Luxurious cloth with a feeling of moderate tension attracts a silhouette in the softness and puts it up. 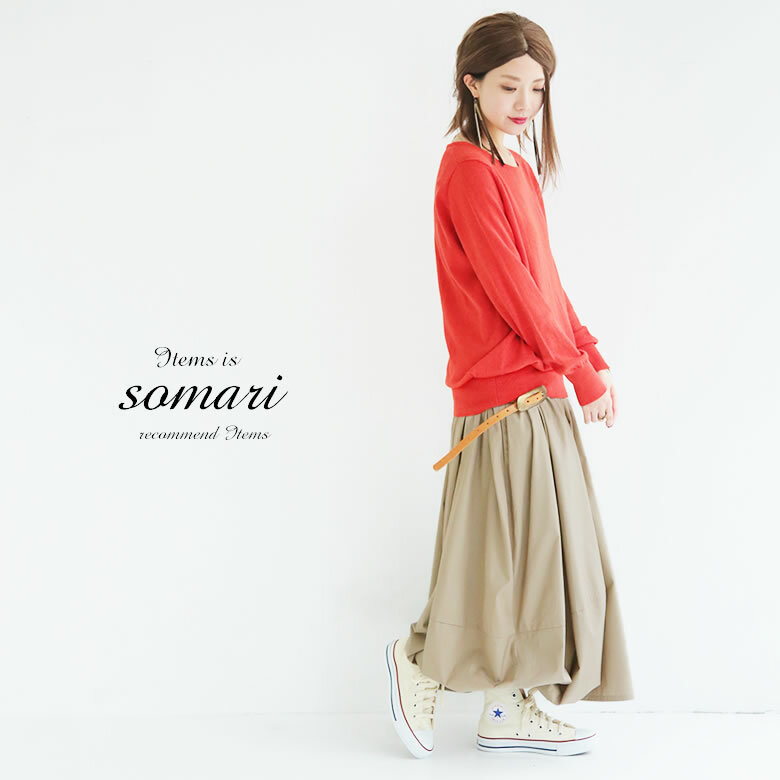 The comfort is good and can use it regularly by smooth feel in a long season. 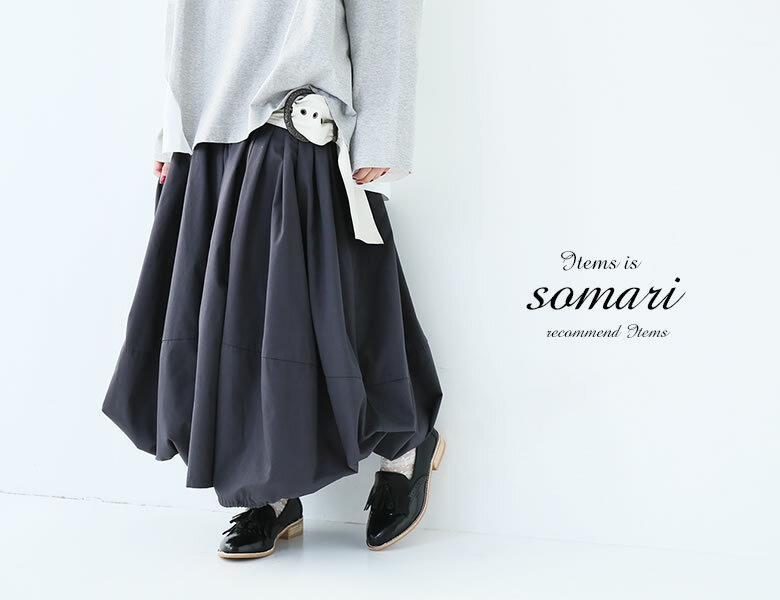 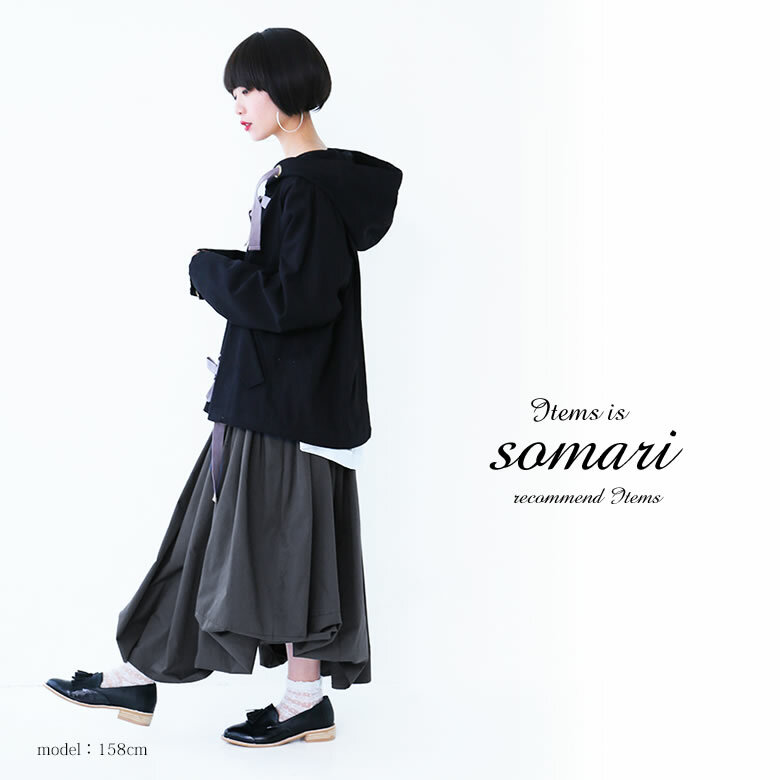 A sense is the heteromorphic design shirring balloon skirt which he/she sews well smartly << somari >> just to wear it. 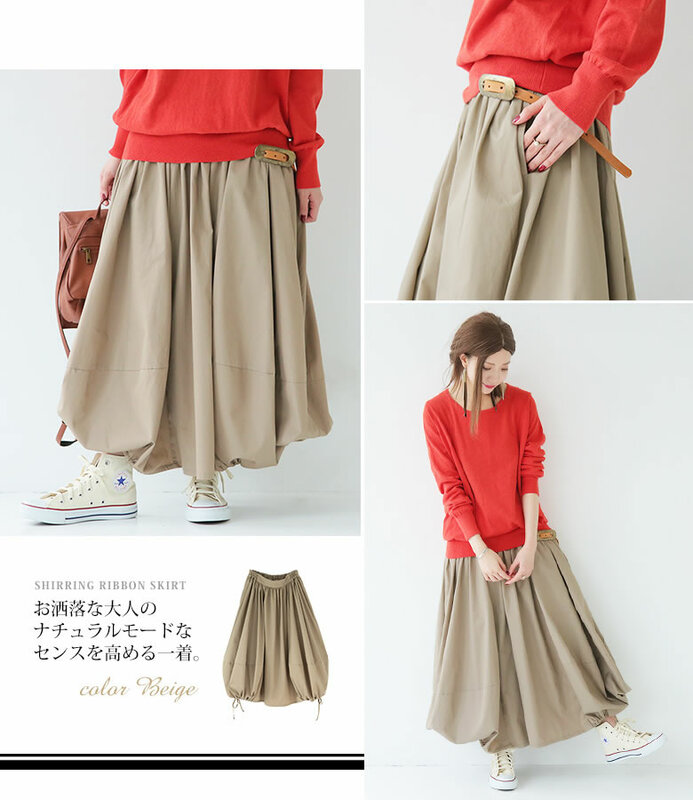 It was not too big and was worn for a moderate unhurried feeling cutely softly generally. 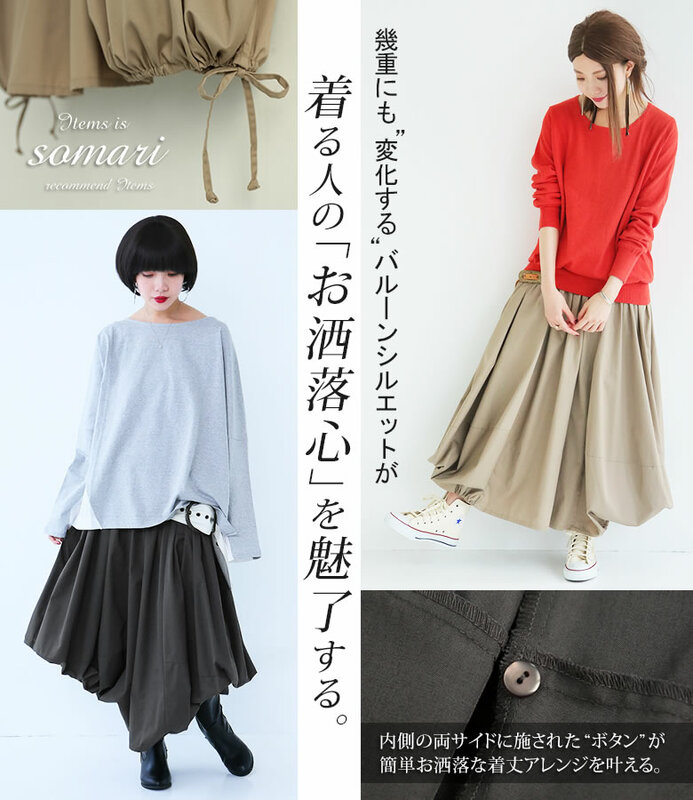 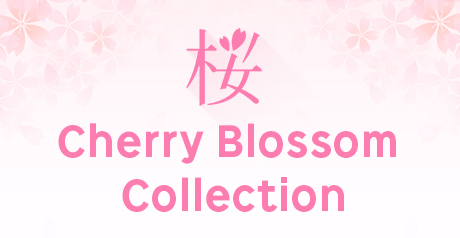 It was worn 程 よくゆるっと without the waist circumference gaining weight as a fluffy silhouette appeared neatly, and being seen.